Representative Honours: Ireland: 5 Full Caps (1925-1927), Irish League: 5 Caps (1925-1926). Club Honours: (with Willowfield) Irish Cup Runner-up 1923/24; (with Ards) Irish Cup Winner 1926/27. The star player of Ards earliest days in the Irish League, Andy Bothwell was the first player from Castlereagh Park to earn full international honours. In all he won five caps between 1925 and 1927, all wearing the number seven shirt. Bothwell started his career with local Belfast teams Cregagh and then Mountpottinger before signing for Intermediate League team Willowfield in September 1921. He stayed three seasons at Willowfield, culminating in an Irish Cup Final against Irish League Champions Queen’s Island. A tight match ensued and Queens Island emerged 1-0 winners. Bothwell had scored his first senior goal, keeping Willowfield in the Irish Cup, when they drew 2-2 with Newry Town in round two of the competition. Bothwell then spent another season in intermediate football with Bangor before joining Ards in August 1925. 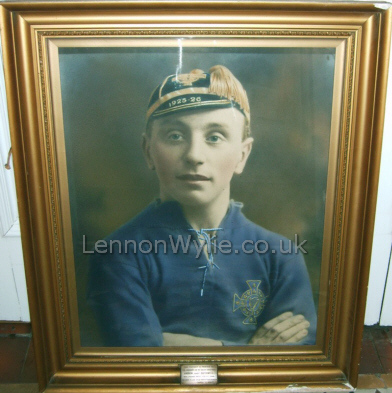 His Ards debut was made in a 5-3 League win at Queen's Island in August 1925, and it was after just ten senior appearances that he was awarded his first Ireland cap. In his second international, a 3-2 win over Wales, he supplied the crosses for all of Ireland’s goals. A prolific goalscorer from the wing, he finished as Ards' top scorer in 1926/27 with a total of 20 goals, including 16 in the League. 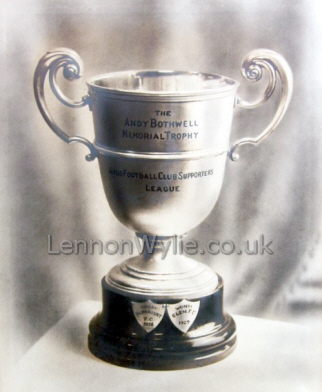 Bothwell also played a key role in Ards' first senior trophy success – a 3-2 defeat of Cliftonville in the 1927 Irish Cup Final at the Oval – scoring the important second goal in a defeat of Belfast Celtic in the semi-final. In all he scored 37 goals for Ards including a hattrick in a 4-2 Gold Cup win over Larne in 1927/28. He played his final match in a 7-2 League defeat by Portadown on 28th January 1928. After being admitted to the Royal Victoria Hospital on Tuesday 31st January with abdominal pains, Bothwell went into surgery the following Thursday and died on Saturday. The cause of death was peritonitis, brought on by a burst appendix. He was just 27 years old. Summary: 5/0. Won 1, Drew 3, Lost 1.